The U.S. Armya ™s Chemical Materials Agency (CMA) currently oversees contracts for the operation of chemical agent stockpile incineration facilities at four disposal sites. Because the period of time required to dispose of these chemical agents has grown beyond that originally planned, the Army is becoming concerned about the possibility of growing operational problems as the processing equipment ages. To help address these concerns, the CMA requested the NRC to assess whether current policies and practices will be able to adequately anticipate and address facility obsolescence issues. 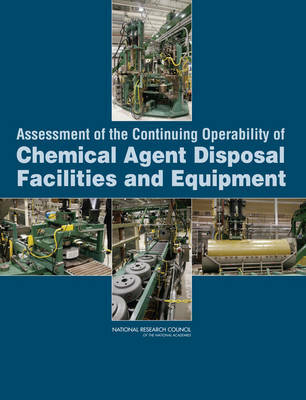 This report presents a review of potential infrastructure and equipment weaknesses given that the facilities are being operated well beyond their original design lifetime; an assessment of the Armya ™s current and evolving obsolescence management programs; and offers recommendations about how the programs may be improved and strengthened to permit safe and expeditious completion of agent stockpile destruction and facility closure.